Lock in a great price for NH Collection Roma Giustiniano – rated 8.5 by recent guests! Gabrielle and the staff were friendly and very helpful. Nice breakfast, a bit on the expensive side, but great selection and overall good value. This hotel is amazing. The bed is so comfortable, different pillows to choose from (a big plus for me), the location is perfect, the staff is to die for!! Aurora gave us a map with locations we asked about and was just a wonderful hostess!!! Welcoming, competent, delightful staff .. Everyone pleasant and extremely helpful when we needed assistance. Salvatore & Maria Cochella, with whom we interacted most frequently, could not have been nicer or more helpful .. 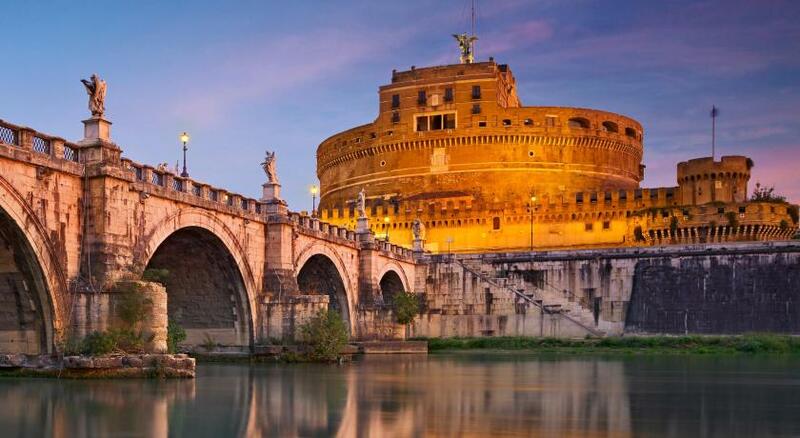 Very nice location, walking distance to VATICAN and Castel Sant’ Angelo and public transports. Extremely friendly stuff. Proper and clean room and hotel. Special thanks and warm appreciations to the morning shift ladies for their great hospitality during check-in “Mme Maria CONCETTA and her pcolleague”. The room was very big, had a nice balcony. Very comfy. The welcoming staff are very friendly and helpful. Very close to Vatican city, great location. The rooms were even larger then expected. NH Collection Roma Giustiniano This rating is a reflection of how the property compares to the industry standard when it comes to price, facilities and services available. It's based on a self-evaluation by the property. Use this rating to help choose your stay! One of our top picks in Rome.Just 10 minutes' walk from the Vatican and Castel Sant’Angelo castle, NH Collection Roma Giustiniano offers a free gym and a generous buffet breakfast. Its modern, air-conditioned rooms have a satellite LCD TV. WiFi is free throughout. Each room at this NH hotel is very spacious and decorated with contemporary furniture and features parquet flooring. Some rooms overlook St. Peter's Basilica and Castel Sant'Angelo. The breakfast buffet includes fresh fruit, organic yogurt and a selection of cereals. The Zenzero & Cannella restaurant serves traditional Roman, Italian and international cuisine. Guests can also sample a wide selection of international wines. 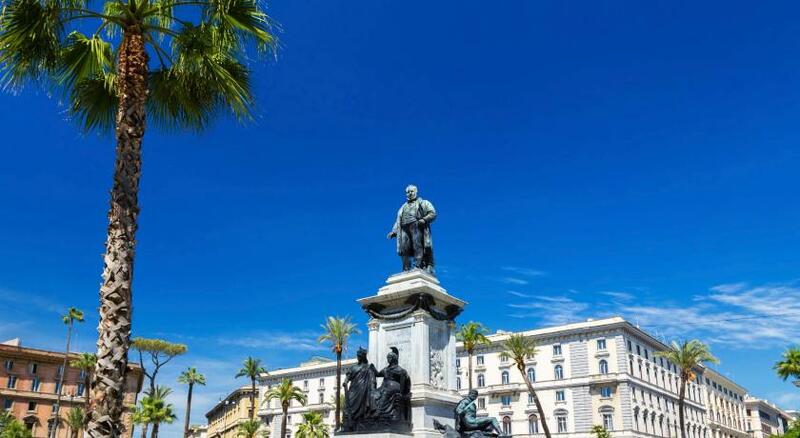 Lepanto Metro is 2,300 feet from the hotel, with links to Termini Train Station in around 15 minutes. 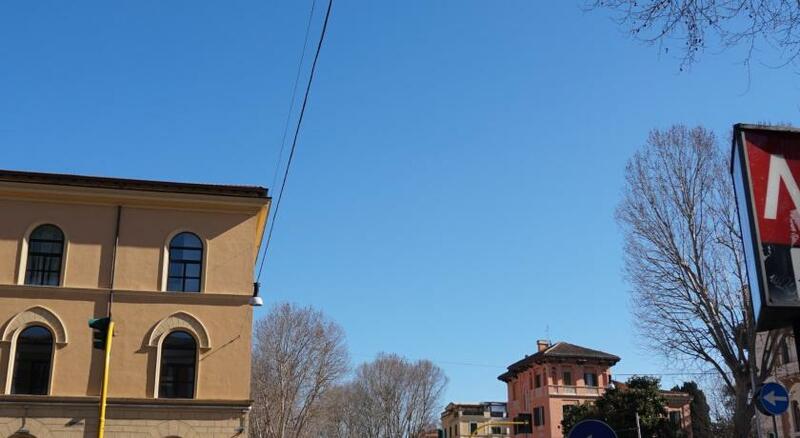 The popular shopping street of Via Cola di Rienzo is just 150 feet away. When would you like to stay at NH Collection Roma Giustiniano? Spacious air-conditioned suite with a living room and balcony, tea and coffee-making facilities and a bathroom with a rainfall shower, bathrobes and slippers. Featuring a minimalist, contemporary-style décor, it includes hardwood floors, free WiFi and an LCD satellite TV. Offering free WiFi, this large air-conditioned room with a minimalist, contemporary-style décor comes with a mini-bar and tea/coffee making facilities. The private bathroom has a rainfall shower, bathrobes and slippers. This suite with a minimalist, contemporary-style décor has air conditioning, mini-bar and electric kettle. Includes a bathroom with rainfall shower, bathrobes and slippers. Offering free WiFi, this large air-conditioned room with a minimalist and contemporary-style décor comes with a mini-bar and tea/coffee making facilities. The private bathroom has a rainfall shower, bathrobes and slippers. Offering free WiFi, this large air-conditioned room with an extra bed, a minimalist and contemporary-style décor comes with a mini-bar and tea/coffee making facilities. The private bathroom has a rainfall shower, bathrobes and slippers. This unit is composed of two or three rooms that may be located on the same or on different floors. Room category will be assigned at check-in. This double room features air conditioning, coffee machine, electric kettle, flat-screen TV and a private bathroom with free toileries. Our brand Collection makes feel all our visitors special guests! Extraordinary NH Breakfast, amazing bed for a perfect rest, complimentary shirt ironing during the stay. Some of the minimalist rooms offer breathless views of St. Peter's Basilica. Moreover this hotel is ECO-FRIENDLY; certified according to ISO 14001 and 50001 standards. House Rules NH Collection Roma Giustiniano takes special requests – add in the next step! NH Collection Roma Giustiniano accepts these cards and reserves the right to temporarily hold an amount prior to arrival. Please note that the Zenzero & Cannella restaurant is open from 12:30 until 14:30 and from 18:30 until 22:30. Garage parking at the property is at a surcharge. The rooms are starting to look tired, bathroom tiny! The very welcoming staff the wonderful room they gave us with a fantastic view of the Vatican from the Veranda.the cleanliness of the hotel was excellent. Excellent organisation of car from airport and to cruise terminal. Super breakfasts great coffees and choice of food. Also staff worked very hard to ensure that the restaurant tables and buffet was kept clean and tidy so important for the overall impression.excellent spot for visiting the Vatican City and other key sites in walking distance. Room air conditioning was a little warm, couldn't control temperature to lower room temperature a few degrees. Great location, friendly staff, especially Roberto in restaurant. Great breakfast and food in general was great. Would stay again for sure. I dont like the perfume on the lobby. Too strong. The map given to us was so hard to understand. It needs improvement. The door of the shower should be full glass door. NOt half as most hotels in Europe have it. The wifi you have to pay to upload pictures. And it wa so slow. This should be free like the hotels in Paris like Ibis. The one bedroom has good size. Comfy. But it needs more table to work on. The interior is clean white. There is a veranda so you can open to let fresh air come in. Its near the Vatican. The area is near the street where you can find small shops, farmacia and small restaurants. But I find it to be a lonely area. I like the long table beside the window where the sun comes in. You can do your make up well. There was no mirror in the room!!! It was so annoying.